I make no secrets about it, I absolutely love Jumpsuits (and rompers)! I honestly can’t understand why it ever went out of style until it’s revival a few years back. Although I love fashion and all it’s nuances, I would admit I can be quite lazy. You know, those days when you just want a quick outfit, with no fuss, yet look well put together. Best go-to for me are jumpsuits and rompers. During the summer months, there were numerous variations from long flowy lengths, to floral patterns and structured silhouettes. 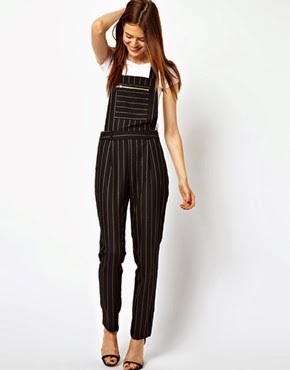 Also a variation of this trend, the overalls (dungarees) with a bib-style top, became quite popular. It’s fall and as it gets colder, I may opt for structured jumpsuits as opposed to rompers- so don’t hang up your jumpsuits quite yet. However, there are rompers that can be worn all year round with some layering. Hope I get the chance to show you how soon! Jumpsuits should be a staple outfit in any closet. 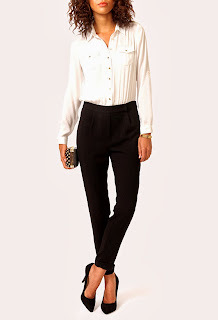 Nasty gal often has so many choices. Here are some jumpsuits I’m currently coveting and should get your creative (or lazy) side going. Just have fun with it!